Create 2 grids with even amount players in either grid. Pass and move. Once you play a passing touch to a cone nearest to you. The player must stay connected to the game and not turn their back. 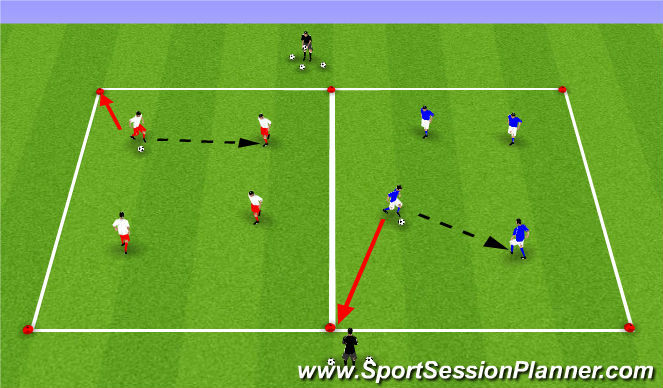 Encourage players to take 2 touches before passing. Cover player provides clear, concise communications to pressure player Show inside, be patient, get tight, win it. 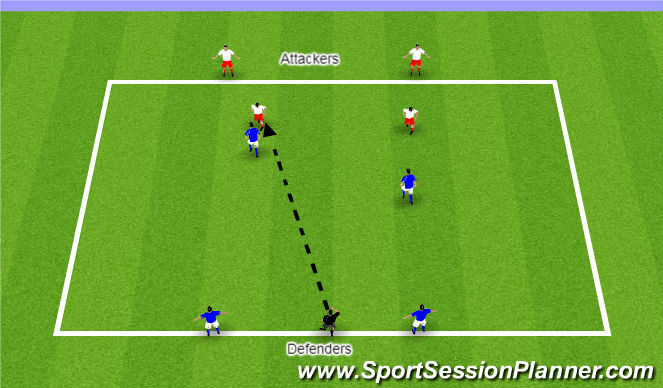 Condition the attackers to speed the passing up between the attackers and encourage the attackers to push down the pitch and move closer and firther awat from each other.